Career Day speakers: Riverside Superior Courts, Mr. Mark Petersen, Mrs. Helen Bowden, Mrs. Mylene Green, Program Officer Mrs. Lynn Osorio, and CHP officer Mr. Jason Graham. 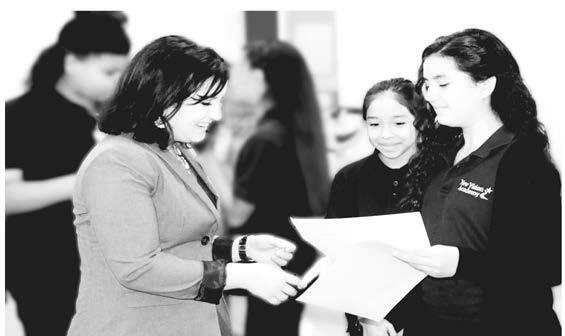 New Vision Academy held its fifth annual career day. This was the second year career day was integrated between the middle and elementary schools that makes up New Vision Academy. 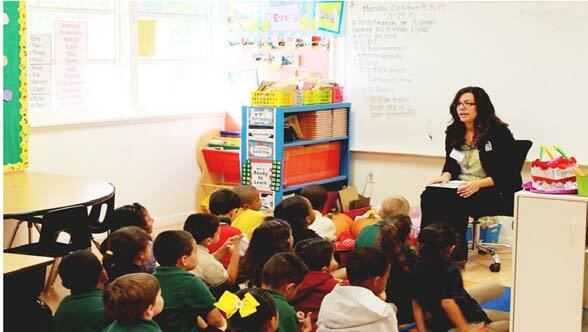 Students in grades kindergarten to eighth grade were given the opportunity to hear from different professionals. Water District Community relations officer Stephanie Guida, presenting to New Vision Academy’s first grade class. 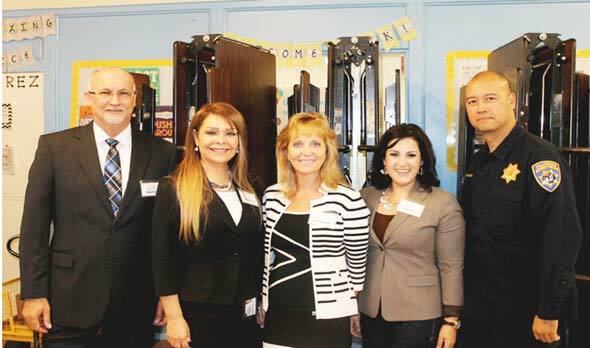 New Vision Academy is a K-8th grade charter school located in San Bernardino County. 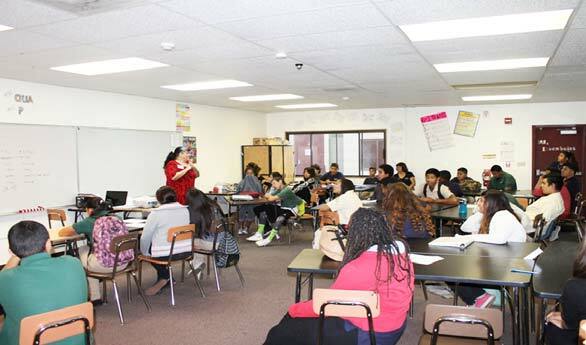 New Vision Academy holds a four-year partnership with UCLA BruinCorps and AmeriCorps VISTA. VISTA and BruinCorps are two programs with a mission to help fight poverty in low-income communities. Both programs are working with New Vision Academy to help promote a college going culture, with the goal of providing equal access to educational opportunities. Career day not only raised students awareness about careers but it gave them an opportunity to learn and hear from different professionals, who emphasized the value of education and expressed the importance that excelling in academics, can have for a student’s futures. Nurse Ransom presenting to New vision Academy’s 8th grade class. There were a total of 26 professionals in attendance ranging from a variety of fields, such as nursing, art director, martial arts instructors, doctor, social workers, CHP Officer, nonprofit coordinators, business owners, epidemiologist, fitness instructor, US Army, program officer, and Valley College program assistant and student ambassadors. Also present was East Valley Water District’s Stephanie Guida, Community Relations Officer Riverside Superior Courts, Judge Petersen, Court Reporter Helen Bowden, and Interpreter Mylene Green. Each professional had the opportunity to give two 15 minute presentations that were followed by a 10 minute question and answer period, where the students were given the opportunity to ask questions on what they heard throughout the presentation. New Vision Academy is working to improve their community, by provide their students with greater opportunities. They hold a strong mission of ensuring all students are equipped with the academic knowledge, skills, and positive character traits that will enable them to thrive in school, career, and life.